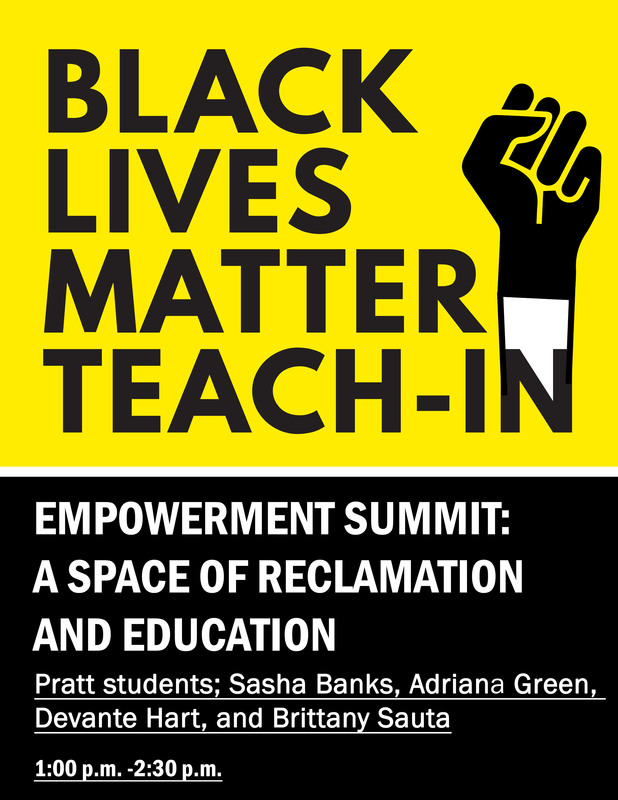 The summit gives students an opportunity to be seen and heard around issues of racial justice at Pratt. During this session, we will focus on exploring different ways to take artistic action against social injustice. Food will be provided. Faculty, staff and students who were not able to attend the first session are strongly encouraged to participate. Location: Women Writers of Color Reading Room, 3rd Floor, Library.